Hindu Temples and Places of Worship List of some Indian temples. Bhartiya Cultural Society Alberta - Located at Edmonton, Alberta. Features photo gallery, events, worship schedule, directions and temple's organizational structure. Edmonton Mandir - The schedule and photo gallery of the temple in Edmonton, ALberta. Hindu Society of Calgary - An active religious center for worship in Alberta. It features a library and class schedules. Montreal Murugan Temple - Features temple history, location, photos, worshiping hours, activities, donations and devotional songs. Victoria Hindu Temple - Provides history and schedule of the temple. Devi Mandir - Services, facilities, pooja schedule and events at the temple on Brock Road, Pickering. Hindu Prarthana Samaj: Toronto - One of the oldest Hindu temples in North America. It is dedicated to universal brotherhood and global peace. Hindu Sabha Mandir - Profile, schedule and events at the temple on the Gore Road Brampton. Includes a photo gallery and a virtual tour. Radha Krishna Mandir - Serving South Western Ontario. Includes puja schedule, youth pages, upcoming events, and the Diwali Mela. Sri Vishvanath Mandir: Toronto - Location, services and Puja schedule of the temple. Sri Bhuvaneswari Temple - Deities, location, and schedule of the temple. Sri Nagapooshani Amman Temple: Scarborough - The schedule, location, and information on the annual festival of the temple. Sridurka Hindu Temple: Toronto - Details on temple history, directions, deities, worshiping schedule, calendar, donations and photo gallery. Vaishno Devi Temple: Oakville - Location, pooja schedule, news, and events at the temple. Brahamana Annadana Sathram, Keesragutta - Andhra Pradesh, India - A temple dedicated to Lord Shiva. Details on temple location, events, activities, photo gallery and contributions. Sree Veera Venkata Satyanarayana Swamy Devasthanam: Annavaram - Location, pooja schedule, and sevas at the temple. Includes details of accommodation available. Sri Padmavati Godadevi Sametha Venkateswara Swamy Temple - The location, history and the deities of the temple in Dronachalam, Kurnool district. Includes a photo gallery. Srisailam Temple - Anthropologist and photographer Martin Gray describes the history, legend, and deities of this temple in Andhra Pradesh, India. Trikoteswara Swamy Vari Devasthanam - Information on the temple, including its history, location, puja schedule, and how to get there. Located in Kotappakonda, Guntur District. Tirumala Tirupati Devasthanams - Information on the body that runs these temples, information about how to get there, places to stay and visit, facilities. K. Jamandas Proves Tirupati Temple is a Buddhist Shrine - A summary of a book claiming Buddhist origins for one of the principal places of worship, and its rituals. Shri Lord Venkateswara - Balaji - Guide for pilgrims to the Lord Venkateswara shrine at Tirupati. Tirumala Guide - The history, legend, and puja timings of the Balaji temple at Tirupathi. Includes travel information. Tirumala Tirupathi Temple - Information on temple history, location, festivals, worshiping schedule, slokas, tourism and photo gallery. Tirumala Tirupati - Information on temple history, location, festivals, worshiping schedule, slokas, tourism and photo gallery. Tirumalai Tirupati - About the pilgrimage, history of the sites of Tirumala Tirupati, and on the temple of Srinivasa. Ayyappa Temple: Rohini - Information on the poojas and offerings at the temple. Shree Shantadurga Temple - Goa, India. Temple dedicated to Shree Shantadurga Devi. Information on temple history, location, activities, festivals and photo gallery. Ambaji Temple - Guide to one of the 51 sacred temples of Sakthi includes its history, list of festivals, and travel information. Prayers in real audio. Manav Mandir: Ahmedabad - Temple of Maa Ambaji erected by Ashirvad Society. Includes a profile of the temple,travel information, images, aartis, and prayers. Pawagath Kali Temple - The legend, and festivals of the temple in Gujarat, India. Includes travel and local lodging information. Ranchhodraiji Temple - Gujarat, India. Features temple history, architecture, location, legend, worshiping schedule, festivals and photo gallery. Ranima - Accommodation, facilities, and travel information on the Vaishno Devi temple. Included a photo gallery. Shri Mata Vaishno Devi Shrine Board - Official web site. Information about the temple and services available. On line booking of accommodation, helicopter, and pujan services. Shri Kshetra Nellitheertha - The history, description, festivals and pujas of the Lord Somanatha temple at Nellitheertha, Mangalore. Sri Guru Parashakthi Mutt - Marakada, Mangalore. Information on temple philosophy, location, worshiping schedule and photo gallery. Alumpeth Temple - History, Deities, festivals and offerings at the Sri Bhadrakali temple near Kayamkulam. Angadipuram Temple - Northern Kerala, India - A personal account of the temple, its culture, legend and history. Ayyappa Temple: Palarivattom, Kochi - The history, pujas, and events of the temple. Chengannur Mahadevar Temple - The location and history of the temple which is better known as Chengannur Bhagavathi temple. Edakkunni Durga Bhagavathy Temple - Location, history, festivals, and Pujas of the temple near Ollur in Trichur district. Goddess Attukal Bhagavathy - The origin, history, festivals, and daily rituals of the temple in Trivandrum. Guruvayur Devaswom - Official site, contains information about the temple, its history, facilities and activities. Guruvayur Temple - Brief details about the Krishna temple. Karppillikkavu Sree Mahadeva Temple - The history, pooja schedule, and festivals of the temple located in Manjapra near Ankamaly in the Ernakulam district. Kuttiattoor Sivakshethram - Location, history, and pooja timings of the Siva temple in Kannur district. Lord Ayyappa of Sabarimala - Kerala, India. Information on temple location, history, directions, worshiping schedule, Ayyappan Cult, stories and photo gallery. Parakkat Shree Bhagavathi Temple - The history, facilities available, and location of the temple. Includes details of various offerings and charges. Pavakkulam Sri Mahadeva Temple: Cochin - Location, history and legends, pooja schedule, and activities of the temple. Sabarimala Temple - Information on the temples in the area, the pilgrimage and facilities. Shree Kuladevatha Mandir Complex - Kerala, India. A site devoted to Kuladevathas (family deities) of SB/GSB Brahmin Community of India. Sree Subrahmanya Swami Temple - Details of temple history, festivals, services, location. Includes a photo gallery. Located in Thazhakara, Mavelikara. Sri Raja Rajeswari Temple: Kochi - The history and main offerings of the centuries old temple, situated in Palarivattom. Includes a picture gallery. Srimad Anantheshwar Temple - Manjeshwar, Kerala. Temple of the GSB (Gowda Saraswat Brahmin) community. Features temple history, location, festivals, worshiping schedule and photo gallery. Temples of Valluvanad - Kerala, India. Features 12 temples in the Valluvanad region, murals of Kottakkal Sivakshetram and Customs of Kerala Temples. Vaikom Mahadeva Temple - Details of this old Siva temple, history of the area, information on the Sabarimala pilgrimage, daily activities. Includes a photo gallery. Ashtavinayak Temples - Information on legend, location, and pooja schedules of the Eight Ganesa temples of Maharashtra. Ayyappa Seva Sangham - Mumbai, India. Details on temple history, significance, festivals, worshiping schedule, donations, online puja and photo gallery. Balaji Temple - Nerul - Mumbai, India. Features temple history, deities, events, management, donations, online puja and photo gallery. Bhimashankar Temple - Maharashtra, India. Features temple history, location, legends, worshiping schedule, donations and photo gallery. Datta Mandir - Pune, India. Details on temple history, location, activities, management, donations and photo gallery. Mahalakshmi Temple - The history, pooja, and festivals of the temple near Kolhapur, India. Includes travel information. Mahalakshmi temple - Kolhapur, India. Features temple history, location, architecture, worshiping schedule, festivals and photo gallery. Satpuda Niwasini Shree Manudevi Temple - Jalgaon, India. Temple of Shree Manudevi. Information on temple history, festivals, photo gallery, trustees and location. Shani Temple - Shinganapur, India. Information on temple history, legend, location, worshiping schedule, festivals and photo gallery. Shree Siddhivinayak Ganapati Temple - Information about the temple, the trust, various festivals, and about giving donations. Includes high-quality images, and pujas in audio format. Mumbai. Shree Tulja Bhavani Temple: Tuljapur - The history, location, and timings of the Sakthi peeth. This is the family deity of Chatrapathi Shivaji Maharaj. Shri Navadurga Temple - This 450 year old temple is located in the Konkan region of Maharashtra, very near Goa in India. Shri Trimbakeshwar Temple - Nashik, India. Features temple history, location, and details of facilities and surrounding temples. Jagannath Puri Temple - Orissa, India. Features temple history, location, legend, deities, worshiping schedule, festivals, donations, online puja and photo gallery. Maa Cuttack Chandi - The history, rituals, and services of the Chandi temple in Cuttack. Includes a photo gallery. Maa Tarini - History, location,and festivals of the temple in Ghatagaon, Keonjhar District. Sri Jagannatha Mandir - Puri - The ancient temple of Lord Jagannatha, in Puri, Orissa. Includes photos, temple history and other information. Sri Jagannathpuri dham - Jagannath Puri, is the abode of Lord Jagannath or Purushotham, the Lord of the Universe or the Supreme Personality of the Universe. Dera Baba Bagga Singh, Radha Swami - The pilgrim centre of the Radha Swami movement in Punjab, India and its spiritual activities. Includes information on the Sathgurus of the movement. Golden Temple - Amritsar, India - The Golden Temple or Darbar Sahib, situated in Amritsar, Punjab, is the most sacred temple for Sikhs. Karni Mata Marble Temple - The history and location of the temple of Karni Mata. Khatu Shyam Ji Temple - Features temple history, legend, location, worshiping schedule, festivals, events and photo gallery. Khatu Shyam Temple: Sikkar. Rajasthan - The legend, location, puja schedule of the temple, and method of worship of the God. Aarupadi Veedu of Lord Murugan - The legends, mythology, history, and location of the six temples known as Arupadaiveedu. Arulmigu Bala Murugan Temple: Rathinagiri - The history of the temple in Vellore district, Tamil Nadu and the Guru associated with it. Includes a picture gallery. Arunachaleswar Temple - The history and legend of this Shiva temple in Thiruvannamalai, India, where Ramana Maharshi worshipped. Arunachaleswara Temple - The temple at Thiruvannamalai, India, the Arunachala mountain and the sages who lived there. Includes a picture gallery. Chidambaram and Palani - The history, puja timings, festivals and travel information about the Chidambaram and Palani temples. Ellai Mari Amman Temple - The history and pooja schedule of the temple in Mylapore, Chennai. Includes a photo gallery. Jnanamalai Murugan Temple - Information on the discovery of the temple in Vellore district, Tamil Nadu and the renovation project. Kanyakumari Temple - Information about the Deity and legend of this temple at the southern tip of the Indian subcontinent. Om Arunachala - Information about Tiruvannamalai town, Arunachala temple, Ramnashramam, the Saints who lived in the town, giri valam, and the annual deepa festival. Includes a photo gallery. Palani Dandayudhapani Devasthanam - The legends and festivals of the temples at Palani. Includes photo galleries and details of available facilities. Rameshvaram temple - About the Rameshvaram and Badrinath temples and their importance by Martin Gray, anthropologist and photographer. Includes photographs of both the temples. Sri Dharbarenyeswaraswamy Devasthanam: Thirunallar - History, Pujas and festivals of the Siva temple which is also known as Saneeswara temple. Sri Panduranga Bhajanashram - The activities of the ashram and the temple of Sri Panduranga and Raghumayee constructed by Brahmashri Vittal Dass Jayakrishna Deekshithar. Includes photos, events, and brief on satsangs. Srirangam Vishnu Temple - About the Deity, legend, and sculptures of the temple located near Tiruchirappalli, India. Thenn Tirupati - History, deities and location of the 100 year old Thiruvenkadamudaiyan Sri Srinivasa Perumal Temple at Ariyakkudi. Thenthirumalai : Sri Balaji Temple, Coimbatore - Features temple location, history, architecture, photo gallery and worshiping schedule. Thevara Thalangal - Information on temples sung in Thevaram by the three saints Appar, Sundarar, and Thirujnana Sambandar. Tiruvannamalai Temples - Details of various temples in Tiruvannamalai. Vadivudai Amman - The location, history, and pooja schedule of the Sakthi temple at Tiruvotriyur near Chennai. Bhagavat Dharma Samaj - Photographs of a temple in Mathura, and some sermons. Dakshineswar Kali Temple - About the temple near Calcutta, India, where Sri Ramakrishna was the head priest. Kalighat Kali Temple - History, legend, and pilgrim's guide. Includes a photo gallery. Dakshina Bharatha Brahmana Sabha - Singapore - Information about Vedic Culture, Hinduism philosophy, festivals, and activities in Singapore at this temple and cultural center. Hindu Endowments Board - Singapore - Listing and guide to Hindu temples. Shree Lakshminarayan Temple - The history, timings, and activities of the temple. Includes a photo album and tour. Bhaktivedanta Manor Temple - The largest Hindu temple outside India at the UK headquarters for the International Society for Krishna Consciousness. Bristol Hindu Temple - Information about the schedule of the temple and activities of the community centre. Matashiri - Information about Hindu religious temples in U.K along with travel information to temples in India. Shri Swaminarayan Mandir, London - History of the temple, activities in it, the exhibitions and a photo gallery. Skanda Vale - The origin, location, puja timings, and calendar of the temples of Maha Kali, Lord Vishnu, and Lord Murugan near Carmarthen village, Carmarthenshire, Wales. Fremont Hindu Temple - Hindu cultural center and temple with regular event schedules. This page offers contact information and directions only. Hindu Temple - Information about the project to build a new temple and cultural center in the city of Chino Hills. The Kali Mandir - A traditional temple for Maa Kaali in Laguna Beach, California. Information on the goddess, news and events. Site includes puja shop and online shrine. Lakshmi Narayan Mandir, Riverside - History, location, and services offered. Malibu Temple - A Hindu Temple located in southern california. 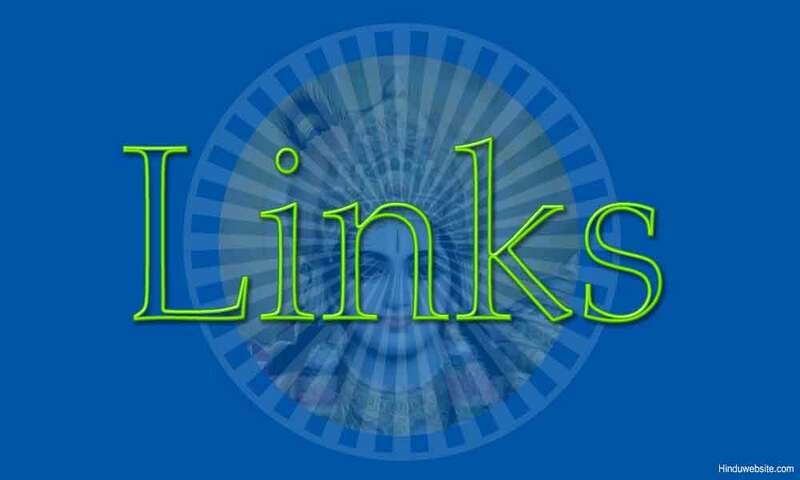 Has information about temple directions, membership, history, photos, events, various hindu gods and goddesses and slokas. Radha Krishna and Balaji Temple - About the project for the construction of a temple in Escondido. It describes the temple design and structure. Shiva Vishnu Temple of San Diego - Location, services, and activities of the temple. Hare Krishna Temple: Atlanta - Information on the temple. Includes philosophy pages, active news group, temple news, upcoming events, and photo albums. Hindu Temple of Atlanta - Temple of Lord Sri Venkateshwara Swamy. Details on temple activities, upcoming events, history, donations, directions, contacts and mailing lists. Hindu Temple of Central Illinois - Location, history, activities, and Puja schedule of the temple in Peoria. Hindu Temple of Greater Chicago - Details on temple history, architecture, location, events, festivals, activities and photos. Krishna temple: Chicago - Features temple history, festivals, calendar, worshiping schedule, directions and photo gallery. Murugan Temple of North America - Location, history, events, and puja schedule of the temple in Lanham. Includes a photo gallery and offers a news letter. Shri Gopal Mandir - The location, events, and history of the temple in Brentwood. Shree Dwarkadhish Temple - Activities, history, timings, photos, directions for the temple located at Parlin. Srivenkateswara kovil : Bridgwater - Temple and cultural center about seventy miles from New York city. Vaikunth Hindu Jain Temple - The deities, pooja services, events, and schedule of the temple located just few miles away from Atlantic City. Bharatiya Mandir: Middletown - Features temple history, directions, worshiping schedule, deities and activities. Geeta Temple - Programs of the temple. Links to Bhajans, prayers, mantras, Durga Mata pooja, Hanuman Chalisa, Ganesha and lectures on Hinduism. Hare Krishna Temple - The schedule and events at the center. Hindu Temple Of Rochester - Temple calendar, pooja hours, and directions. Hindu Temple of Greater Cincinnati - The location, puja schedule, and events of the temple. Includes a photo gallery. Hare Krishna Temple: Portland, Oregon - Programs, events, and other activities of the temple. Ganesha Temple - Ganesha temple in Nashville. Ekata Mandir: Dallas - Hindu temple and society. Hare Krishna Dham: Houston - This Hare Krishna temple was first established in 1969 by Vishnujana Swami, a leading disciple of Srila Prabhupada. Hindu Society of Brazos Valley: Omkarnath Temple - College Station. Features temple history, location, directions, worshiping schedule, activities and photo gallery. Sri Meenakshi Devasthanam - This temple dedicated to Meenakshi Devi is in Kovil, Pearland close to Houston. Sri Meenakshi Temple: Pearland - Deities, pooja schedule, timings and activities of the temple. Durga Temple - Location, schedule, festivals, and publications of the temple in Fairfax Station, Virginia. Hindu Temple of Hampton Roads - Activities, upcoming events, history, and directions to the temple. Hindu Temple and Cultural Center - Details on board members, activities, donations, publications and events. Kali Temple - About the temple and its puja schedules. Includes a picture gallery.